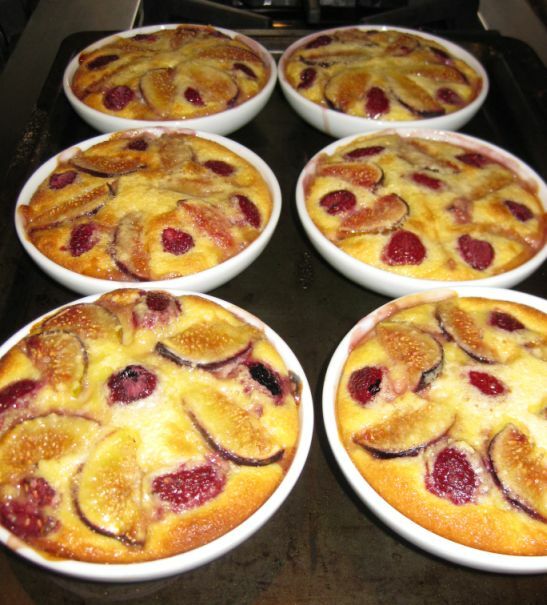 Clafouti is a classic French dessert! 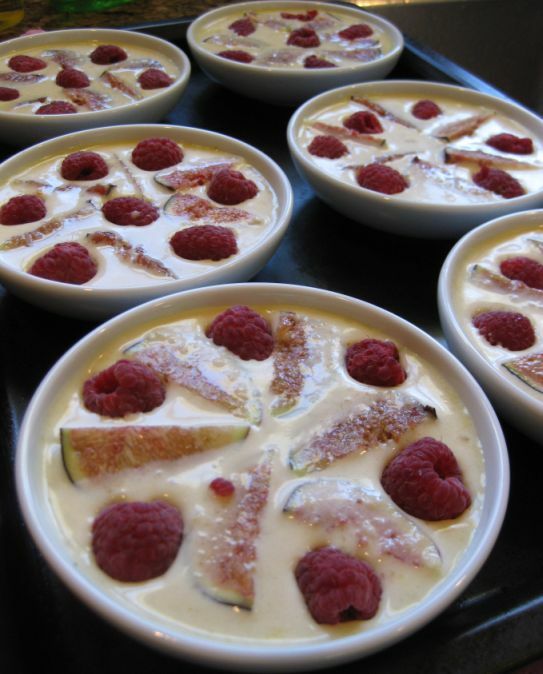 There so many recipes out there but the one I like the most is from Gordon Ramsay. 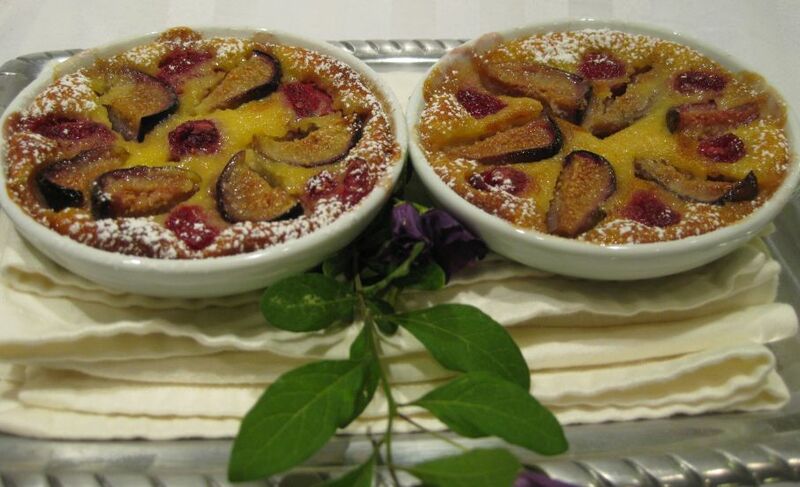 His clafouti is an almond flavored batter that is baked in a shallow pan over a layer of pitted cherries. 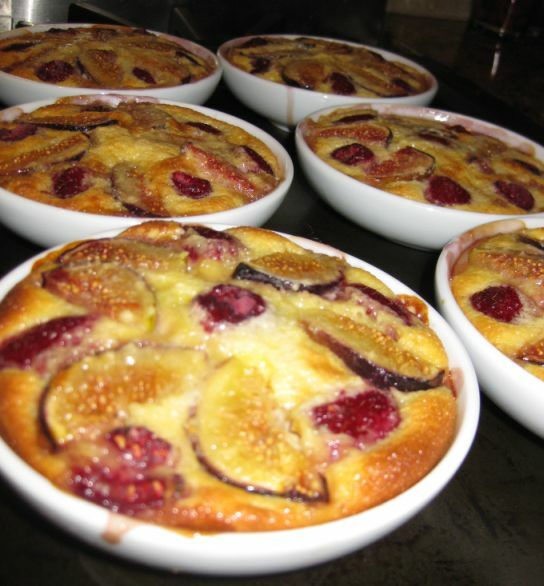 This time instead of using cherries I decided to alter the recipe a bit and used fresh figs and raspberries. 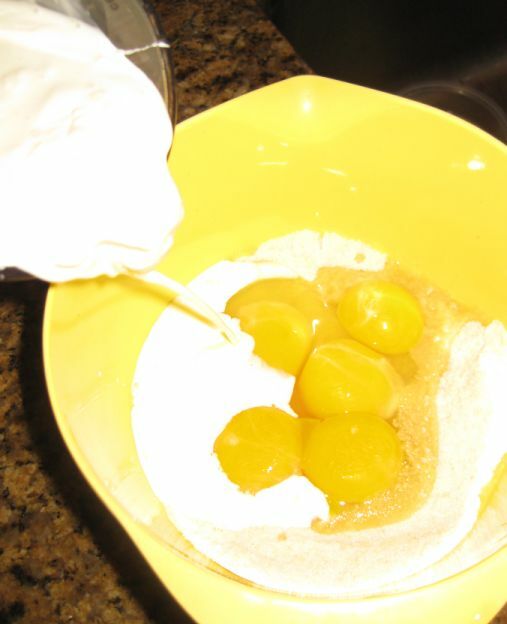 The batter must be prepared 1 day ahead so it can benefit from resting for a full 24 hour in order to let all the flavors shinning through. 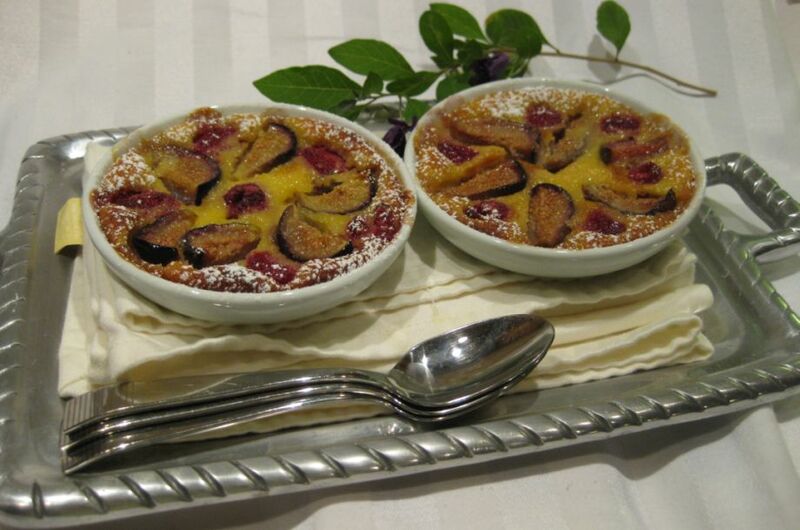 This is probably the last week I can get fresh figs so I tried to use them any way I can.. 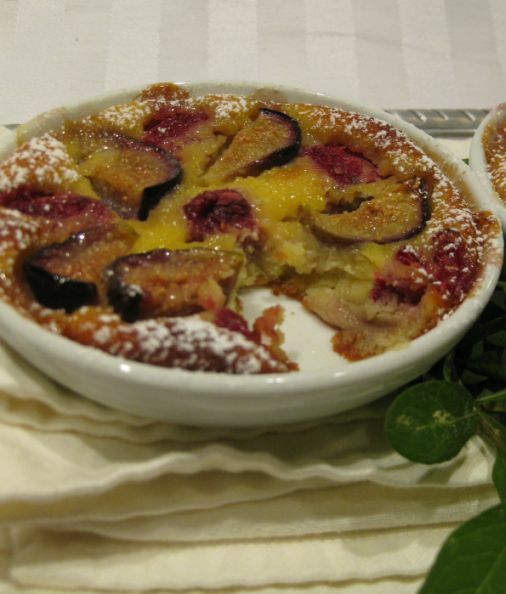 The marriage of figs and raspberries turns to be good one. 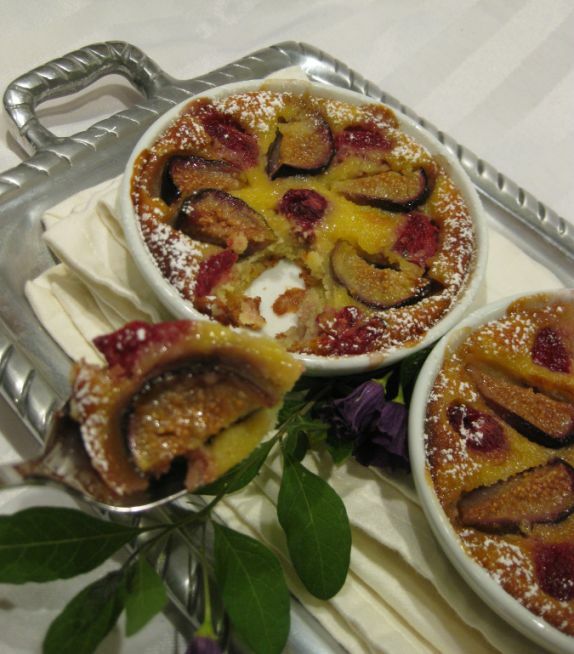 The sweetness of the figs balanced well with the tartness of the raspberries and they also look very colorful and pleasant to the eye. 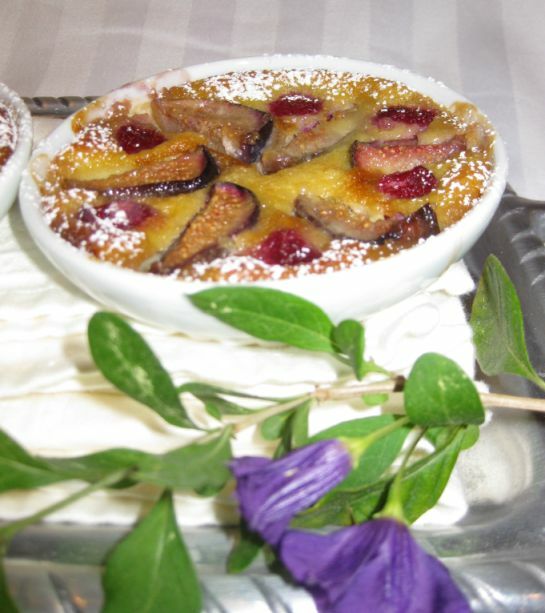 A bit of powder sugar is dusted on the side of the clafouti. 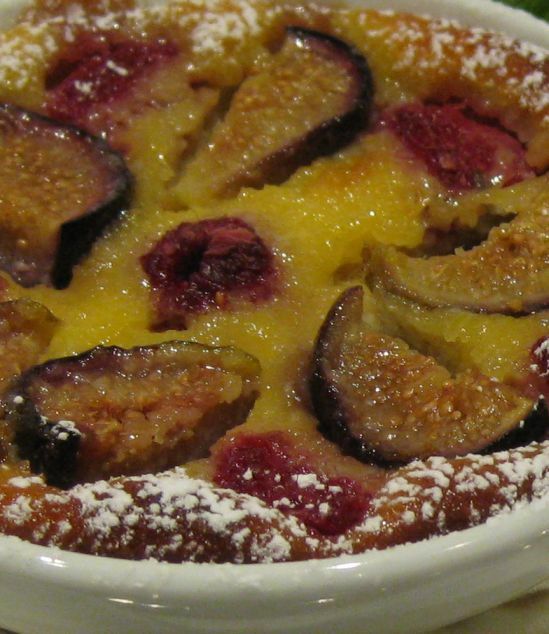 Close look at the clafouti. 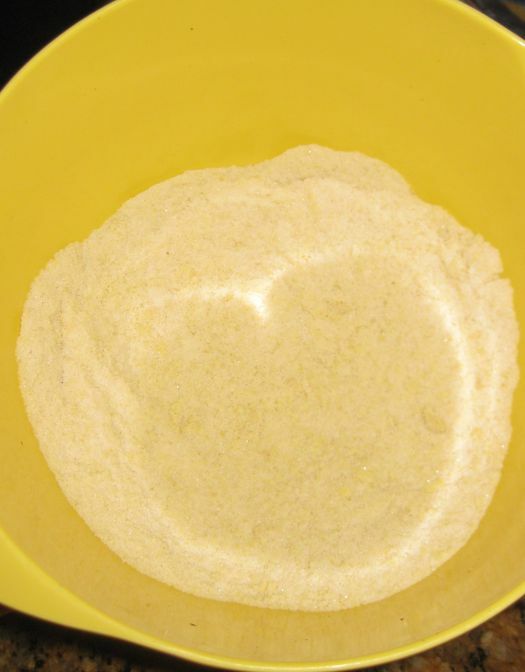 Sugar, ground almond, salt, and sugar are mixed together. 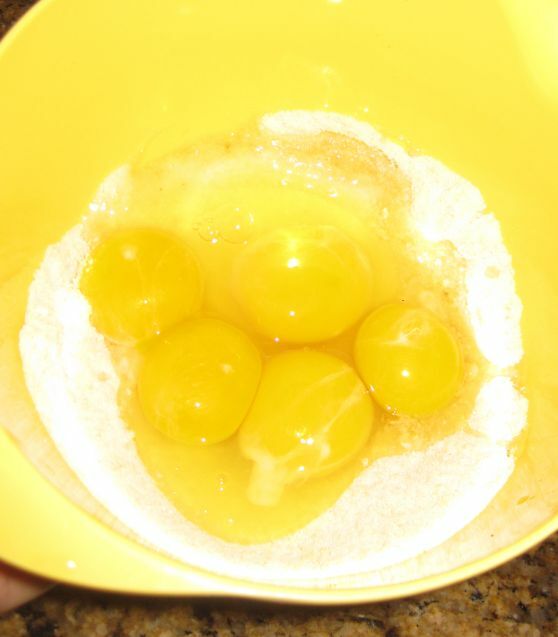 3 eggs and 2 egg yolks are added to the bowl. 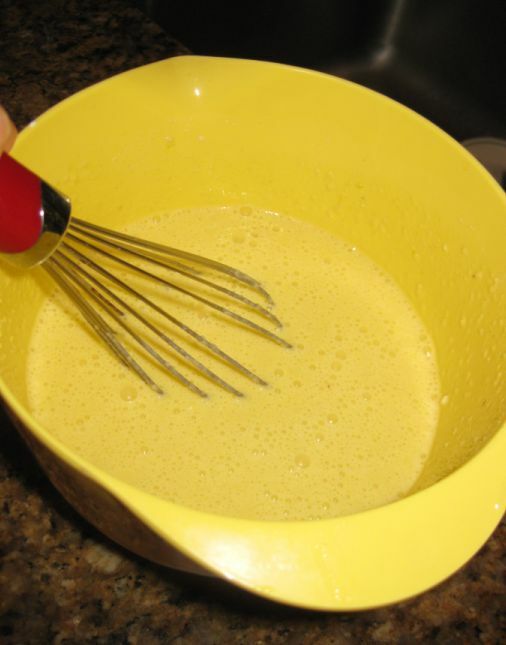 Next, everything is blended together and the batter will be refrigerated for 24 hours. 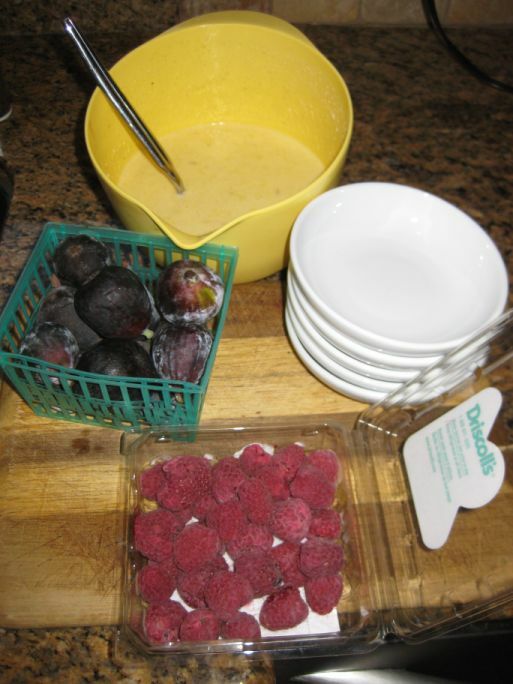 The next day, I am taking out the figs, raspberries and the batter from the fridge. 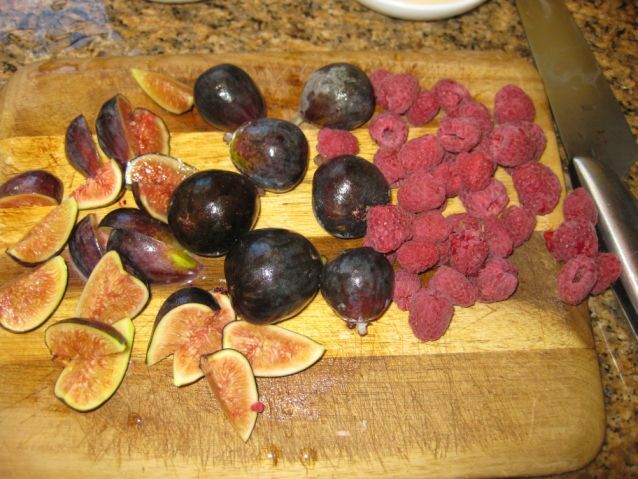 The figs are quartered and since the raspberries are small enough I just leave them whole. 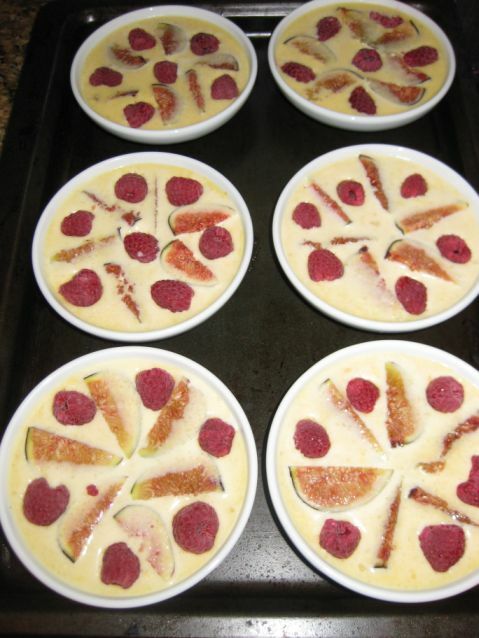 Next the batter is poured into ramekins and the top is decorated with figs and raspberries and then they will go in the oven (375 degrees) for about 20 minutes or so.